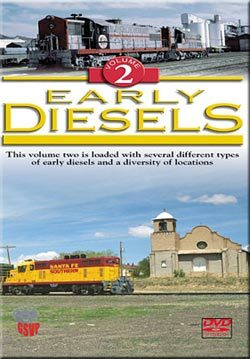 Early Diesels 2 is the next entry in this fine series about first generation locomotives. More variety and focused mainly in the Western United States. This volume is a fitting continuation as Greg Scholl had found even more rare diesels that were operating, well past their prime years of mainline service. These shows are all business. It is our kind of business. Trains. Council Bluffs is our first stop. 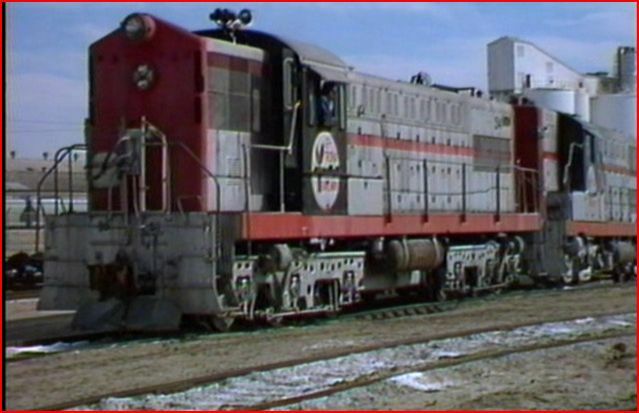 We see a BN SD-9 and SW1000 on a transfer in 1989. 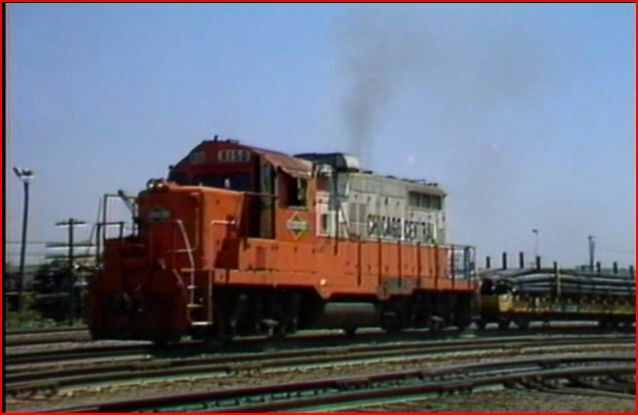 Chicago Central has former orange and white GP10 from Illinois Central Gulf. The ‘near beer’ Chicago Central green diamonds, look like the original Illinois Central logo, from a distance. Reminds me of Chicago, to see the GP10 switching a yard. Satisfies! Trona, California with the well-known Baldwin AS-616 silver locomotives. Any big Baldwin is rare. One of those engines appears to be on replacement trucks. The Trona Railway was a Borax railroad hauler originally, with an interesting history. Good visit to this location. Alberta Prairie resembles the 1950’s era Canadian National. SW1200 is a former CN unit. Montana Rail Link was known for starting up with older EMD power. 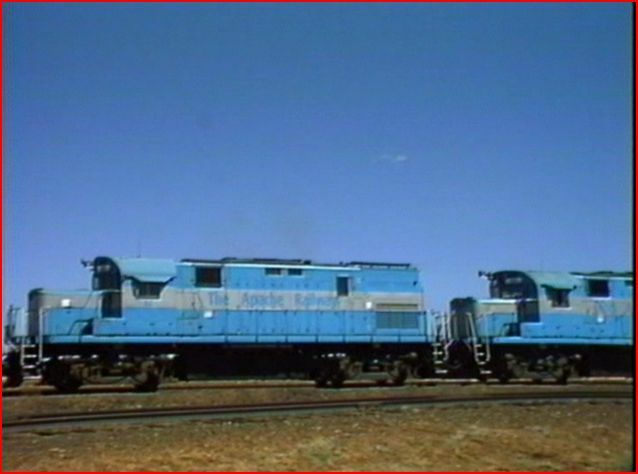 Some MRL painted GP9’s on a freight are seen. A fast look at each road are seen. Apache Railway had an Alco fleet in 1991. A trio of C-420 locomotives are trotted out to work. Assemble a train to interchange with Santa Fe. The classic Alco burble is clearly heard, as the engines move around. The line is 45 miles from Snowflake to Holbrook, AZ. Next, the train is seen traversing the track, headed to Holbrook. We chase it and the Alcos smoke black, like they should. A great visit, to a small railroad, in the desert. Odd looking and rare Alco C415 locos power a dinner train in Oregon. Mount Hood Railroad operates in Oregon. An ex: Southern Pacific GP9 hauls mixed trains. It has a factory low hood from EMD. An extended chapter on this operation. Santa Fe Southern is located in Santa Fe, New Mexico. 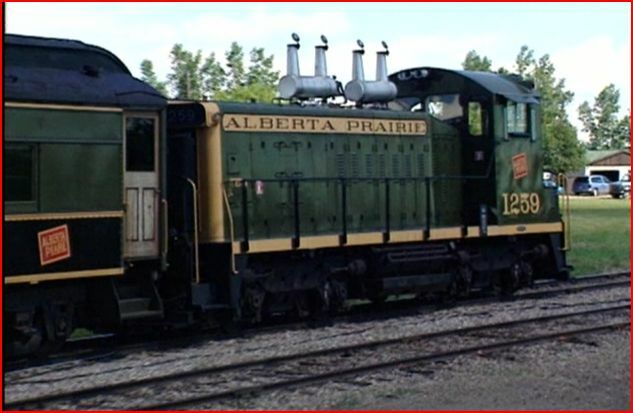 A rebuilt GP9 is now a GP16 standard. It does mixed train service there on ex: ATSF track. Excursions, dinner trains and the freight too. Same basic concept as seen in Volume One. The addition of some map references, are a nice addition. Another solid release in the Early Diesels series. This one is a shade under the first volume for excitement. Get it individually, or in the 3 volume set. These are the final years of these venerable classic locomotives. Nice for the railfan and collectors. The variety makes the hour pass quickly. This entry was posted in ATVR Reviews, Greg Scholl and tagged American Train Video Reviews, Arizona, Burlington Northern, Chicago railroad, new releases, Railroad, Train DVD by William J. Hudson. Bookmark the permalink.